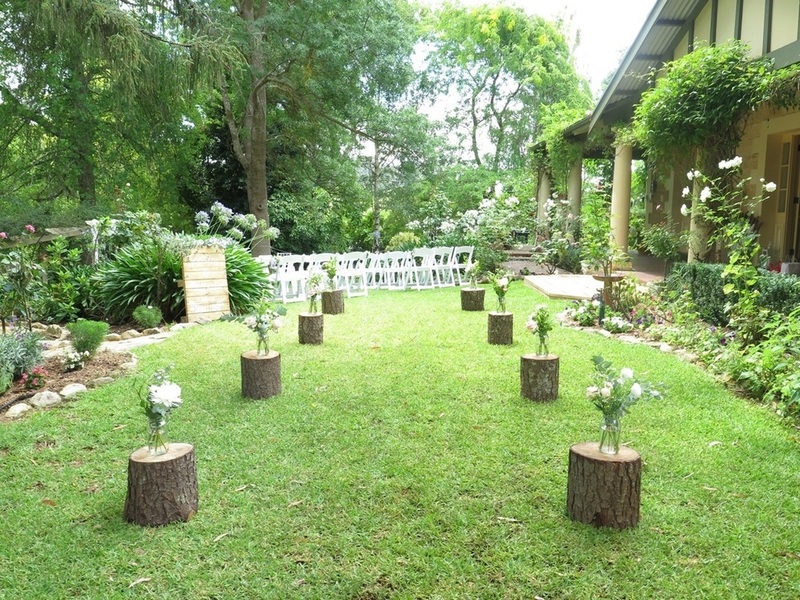 ​We absolutely loved creating this garden ceremony set-up for Matt and Jess. 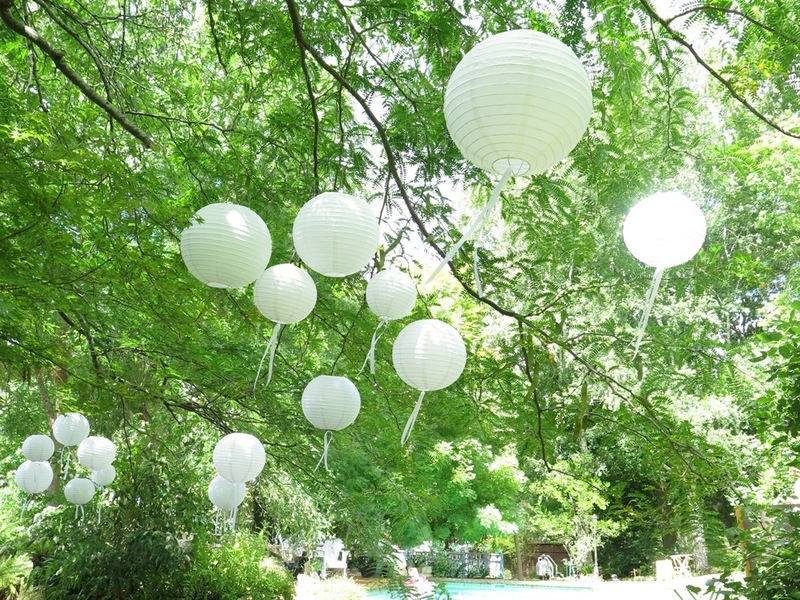 It was especially wonderful as it was held in the magical garden of the groom's family home. 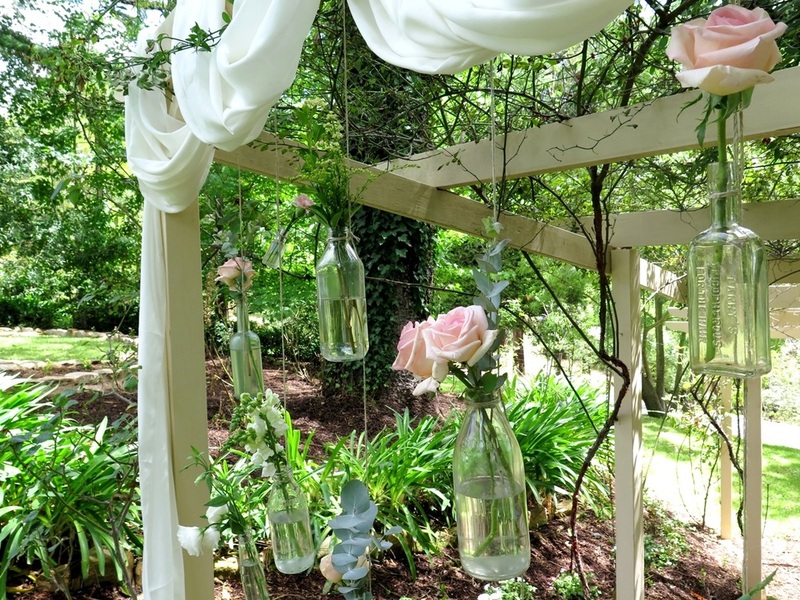 We were so happy the rainy weather cleared up so we could go ahead with our 'Plan A' set-up! 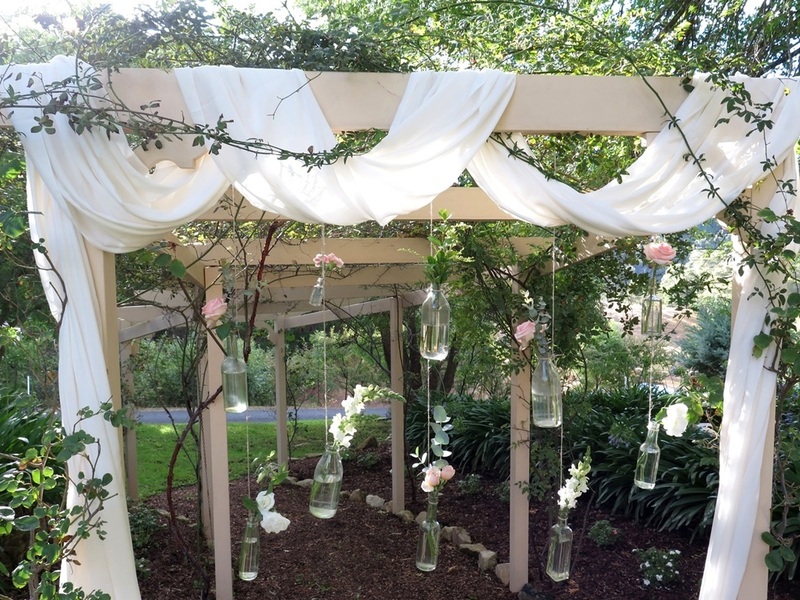 We created a whimsical walkway for the bride through the garden to the aisle, and used an existing garden arbor to create a pretty ceremony backdrop draped in fabric with hanging flower jars. 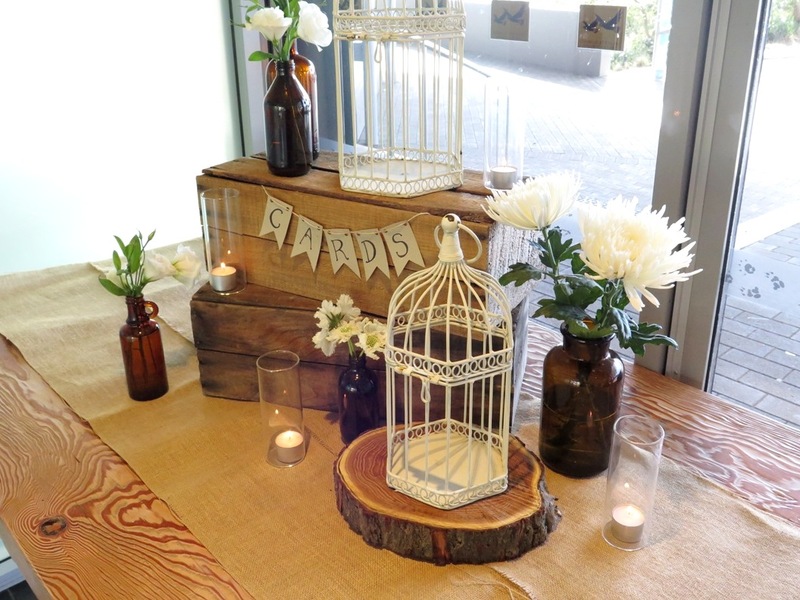 Our vintage bar cart with white vintage chairs made a delightful signing table set-up in the garden. 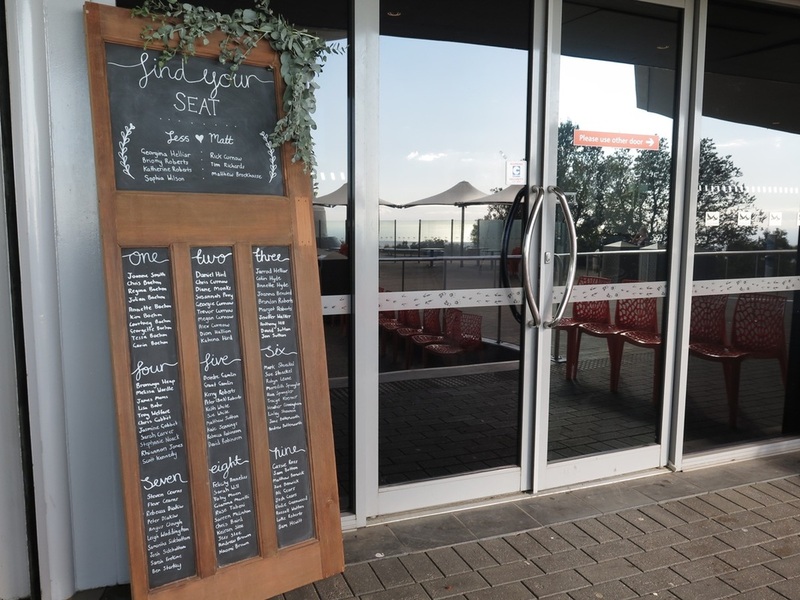 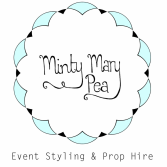 We loved creating a range of custom timber and chalk signs for the day. 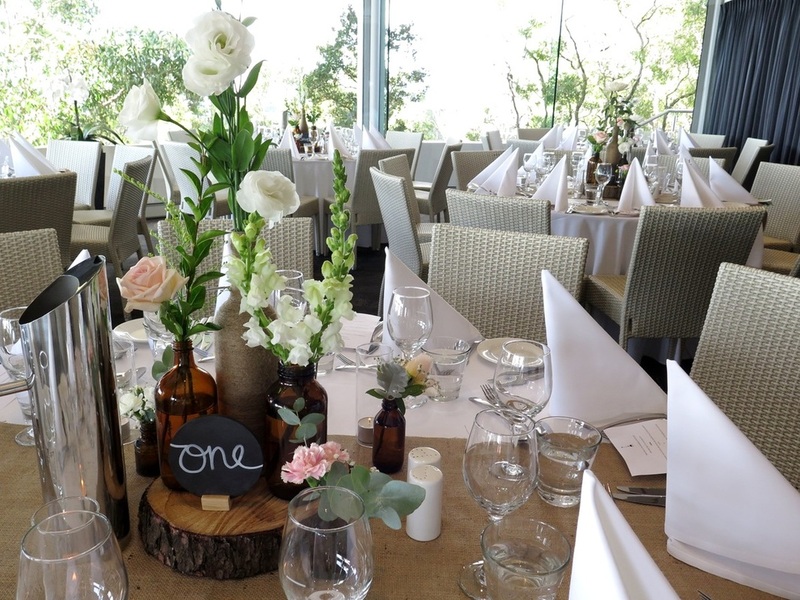 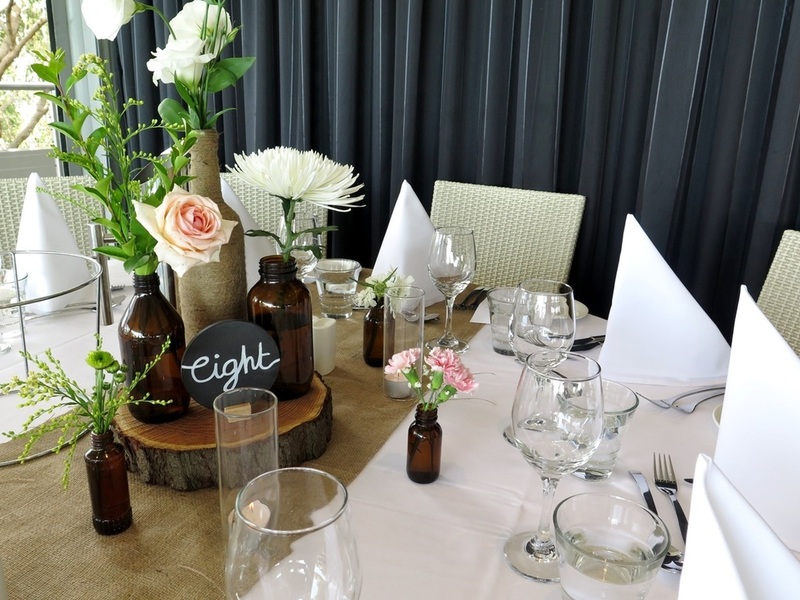 We also put the florals together for the ceremony and reception using our range of amber and clear vintage glass bottles. 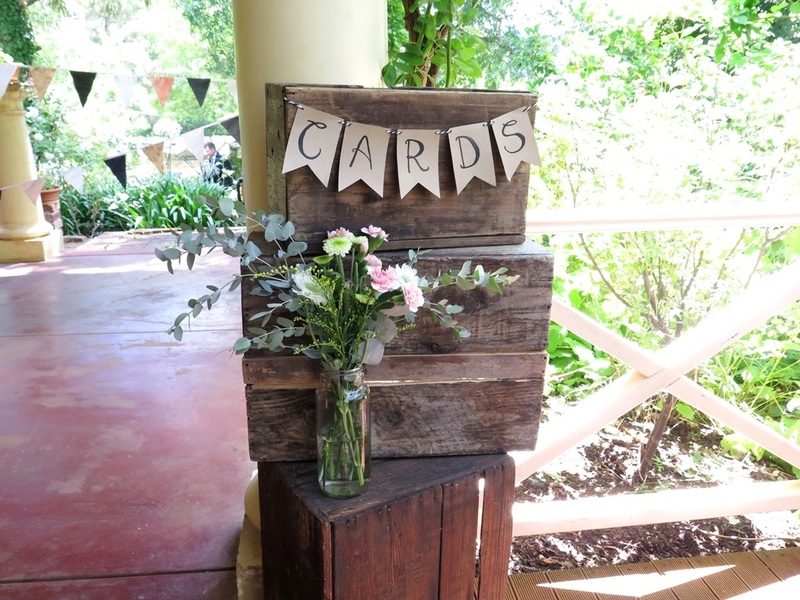 *These are just a few of our snaps from the day - more professional photos to come!